Allow us to reintroduce ourselves. 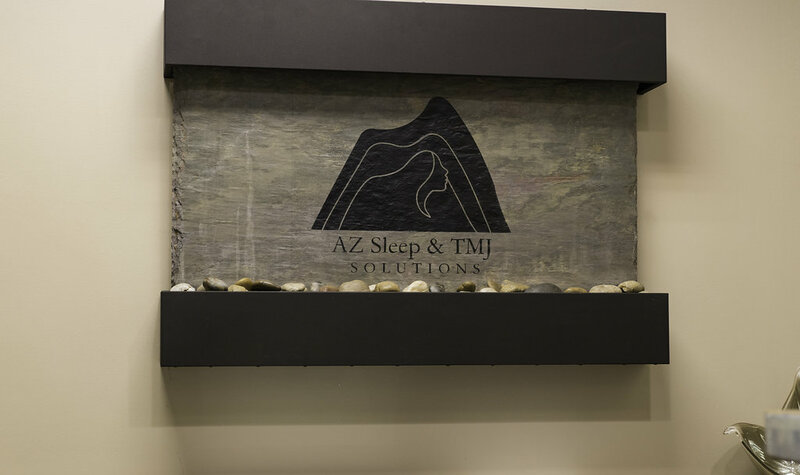 We are AZ Sleep & TMJ Solutions! What makes us different from other dental offices is that we offer services in dental sleep medicine and craniofacial pain. We go beyond just caring for your teeth. We care for your entire body! By providing advanced services, we can provide our patients with the best care possible for both oral and overall health. Through the completion of continuing education courses, our entire dental team has been able to prepare for these advanced services. To get you acquainted with everything that is going on at AZ Sleep & TMJ Solutions in north Scottsdale, let’s take a look at the role of a few members of our dental team. The dentist. Leading the team is of course our dentist, Dr. Sara. In order to properly provide services in dental sleep medicine (sleep apnea treatment) and craniofacial pain (temporomandibular joint disorder (TMD) treatment), Dr. Sara attended seminars, lectures and other continuing education courses. Through these courses, she can provide you with proper care for sleep apnea, craniofacial pain and TMD. From knowing the right questions to the warning signs, Dr. Sara maintains the ability to properly treat sleep apnea, craniofacial pain and TMD, so you can feel better. The dental assistant. As a partner in your health at every visit, our dental assistant will be there every step of the way. Just like Dr. Sara, our dental assistant has completed continuing education to remain up-to-date with the latest advancements in dental sleep medicine. Our dental assistant will ask you questions and will often notice the first signs of sleep apnea, even if you might not be aware of it yet. Seek the guidance of our dental assistant to help guide you in your treatment journey. The office manager. Our front desk staff and office manager will be your go-to for important information. From scheduling your appointment to asking for further information on sleep apnea, and other services, our team will work with you. Let us help you in your journey to finding a solution for your symptoms. Contact our office today to learn more about sleep apnea, craniofacial pain and TMD, and how our dental team can help you remain healthy and happy.